In the world of secure paper shredding, industrial office shredders are typically categorized by security levels. According to the most recent paper security standards, there are seven different levels that range from level P-1 with the least security to level P-7 with the most. In each level, the "P" stands for paper-based materials and each level number represents a different size paper shred. Know the difference between each level and you will be able to find the high security paper shredder that's right for your business. Level P-1: Level 1 shredding produces paper strips that are about half an inch in width. These strips are not cut lengthwise, so they can be as long as the original paper itself. These shredders are fast, but the shreds can be easily reconstructed, making them suitable for documents with less sensitive information. Level P-2: The next level up produces slightly smaller strips, at one-fourth of an inch or smaller. Level 2 shredding does not provide much more security than level 1, as a good amount of sensitive information is still legible on a single strip. Level P-3: Shredders at level P-3 are the only strip shredders that shred finely enough to comply with laws such as HIPAA and FACTA. They produce paper strips at just two millimeters wide, yet can shred a high volume of documents, making them a popular choice for commercial and personal needs. Level P-4: At this level, industrial shredder machines start using cross-cut technology that cuts paper twice to produce much smaller shreds. This technique makes reconstructing shreds nearly impossible. Shredders at this level are perfect for very confidential corporate and commercial data. Level P-5: A level P-5 shredder is very similar to a level P-4 shredder, but the shreds are slightly smaller. This shredder is ideal for anyone who wants slightly more security than level 4 shredding offers, but doesn't need to meet the NSA requirements as seen in level 6 shredding. Level P-6: Level 6 shredding represents one of two top secret shredder levels. Shredders with level 6 shredding are suitable for national security organizations, government agencies, and any company with highly sensitive information. Level P-7: At the absolute highest level of security, level P-7 shredders produce minuscule shreds. They are just slightly smaller than those of level P-6 shredders. 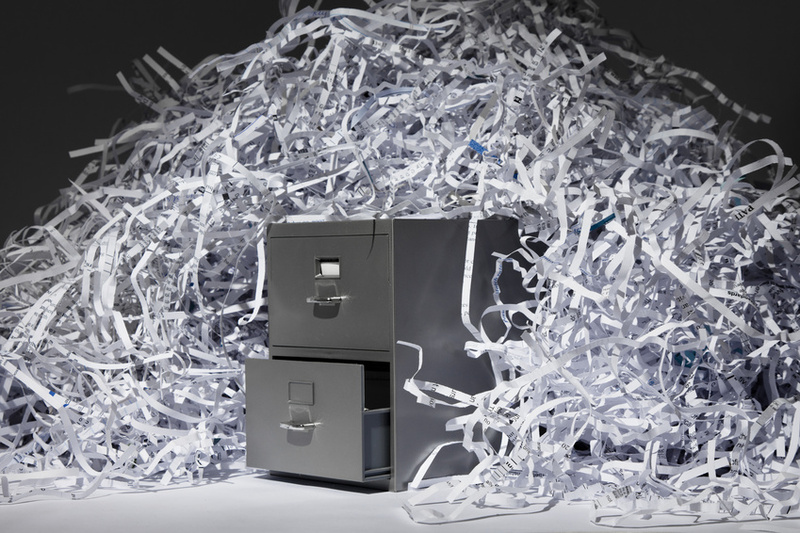 This shredding meets the requirements of the Department of Defense and NSA regulations. This top level of security shredders are designed for agencies with sensitive and classified documents at the government level. Federal organizations aren't the only ones that need to properly shred materials. Nearly 30% of consumers don't shred documents that contain sensitive information before throwing them out. Whether you invest in a level P-3 shredder for your personal information or turn to Capital Shredder Corp. for a level P-7 shredder to take care of nationally sensitive documents, knowing what security you need is the first step.